I have dedicated my practice to serving the legal needs of the residents of Northwest Indiana: Porter County, Lake County, LaPorte County and the surrounding communities. DISCLAIMER: This site and information contained herein are intended for informational purposes only and should not be construed as legal as legal advice. Seek competent legal consul for advice on any legal matter. When I represent a client going through a divorce or legal separation my first goal is to reach a settlement through negotiations and collaborative law. If this doesn't work, then there are alternatives dispute tools such as mediation and arbitration. If this still doesn't work, then there is a trial where a judge will make the decision. I have a lot of experience in this area. Always I strive to provide high quality legal representation in a timely manner and at a reasonable cost. 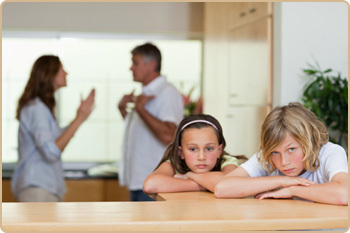 A custody battle is one of the most difficult experiences a person will ever have. I try to help my client resolve the disputes outside of the courtroom. Indiana has adopted the Parenting Time Guidelines that speak to issues involving custody and parenting time. The Guidelines were updated on March 1, 2013. The Guidelines have been interpreted by Courts, and as an attorney I use this knowledge to help my client resolve the issues through negotiations and collaborative law. Frequently a Guardian Ad Litem (GAL) is used whereby the Court appoints a GAL to represent the best interest of the children. Custody evaluators are another tool used by the Courts where a professional such as a clinical psychologist will evaluate the situation and make a report and recommendation to the Court. In addition, mediation is a very effective tool. A custody trial where a judge makes the decision is the last resort, but if it has to be, then I have a lot of experience in this area. Always I strive to provide high quality legal representation in a timely manner and at a reasonable cost. Indiana has adopted the Child Support Guidelines, and these Guidelines have been interpreted by the Courts. I use this knowledge to help my client resolve the issues outside of court. If the issues cannot be resolved through negotiations or mediation, then there is a hearing before a judge who makes the decision. I have a lot of experience in this area. Always I strive to provide high quality legal representation in a timely manner and at a reasonable cost. Adoption is a legal process where a Court changes the parents of a child. It can be a stepparent adoption where only one parent changes or it can be a full adoption where both parents change. Indiana adoption laws are very specific and need to be followed carefully Typically adoption proceedings are a happy occasion whee thee is a celebration of a new beginning. A paternity action not only establishes paternity, but also custody, parenting time, and child support. Indiana paternity laws are very specific and these laws are interpreted by the Courts. I am knowledgeable in the statutes and the case law, and I use this knowledge to help my client resolve the issues without a trial. If there has to be a trial, then I have a lot of experience in this area. Always I strive to provide high quality legal representation in a timely manner and at a reasonable cost. Guardianship is a legal process whereby the guardian become responsible for making decision for another person, known as the "protected person". Guardianship can be of the person only , of the estate only, or of both the persona and the estate. It is a very responsible position. The guardian is accountable to the Court for the well being of the "protected person" and/or the "protected person"'s estate. Guardianship is considered part of Family Law, but oddly enough the laws are under the Probate Code. I have a lot of experience in this area.